Happy 2019! A new year brings new inspiration and the opportunity to change your life through an MBA degree. To help you stay on track to apply to Texas McCombs this year, we’ve put together an easy guide to all of our application resources below. Still Deciding Between a Full-Time or Working Professional MBA? Just Started Your Application or Starting Soon? Starting your MBA application only takes a few minutes and you can come back to it any time. The below list does not cover everything you may need – each application is unique – but it’s a good place to get started. Many Working Professional MBA students, given their average age range and typical experience, may also be contemplating starting (or expanding) a family. 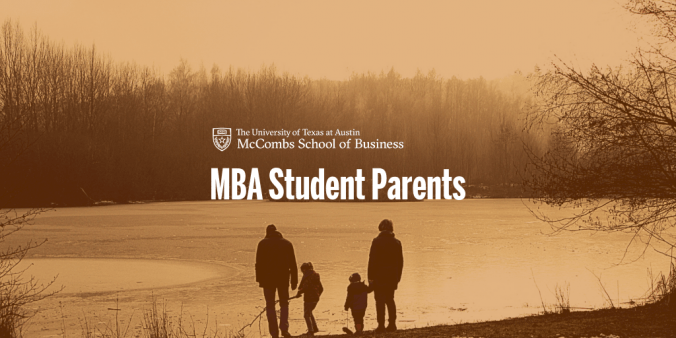 Texas McCombs has an official Parental Accommodation Policy in order to support your family choices during your MBA, whether that means a pregnancy (you or a partner), adoption, or other specific family circumstance requiring leave. 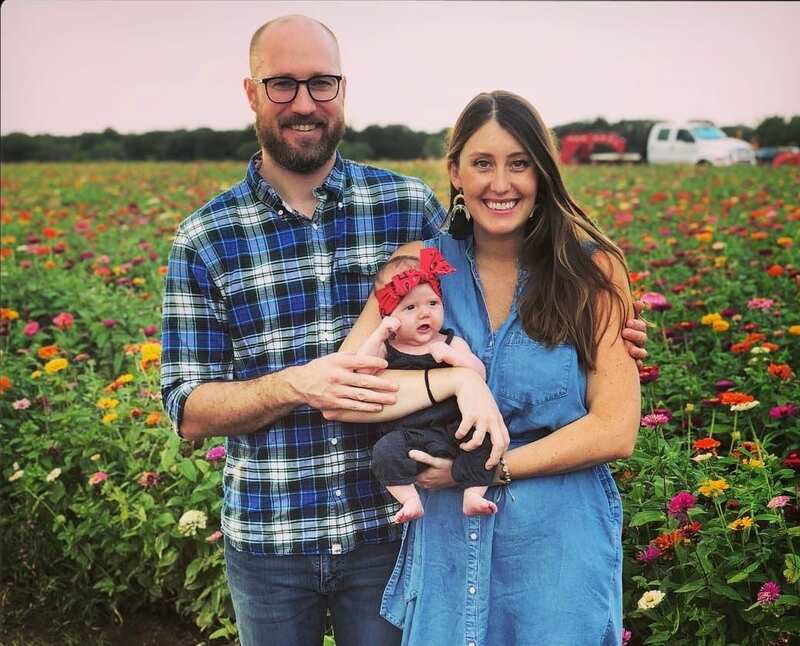 We recently chatted with Natalie Tyrrell, Texas McCombs Evening MBA 2019, about her experience becoming a new mom while being in business school. She navigated this transition within our parental accommodation policy and hopes her experience can help future students face this challenge. Natalie is originally from St. Louis, MO and in addition to school and family, she currently works as a Director of Talent Development for a school district. She had her daughter, Edith Marie Tyrrell, in October 2018. Congrats, Natalie! In the world of MBA Admissions, your numbers are not everything. 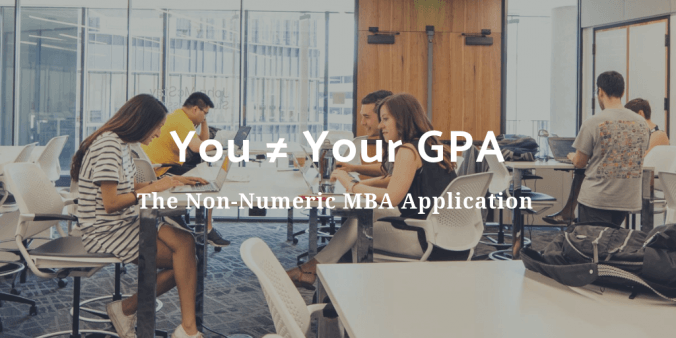 By “numbers,” we’re referring to the stats and scores that applicants tend to focus on when they submit an MBA application– undergraduate GPA, total GMAT/GRE score, percentiles, etc. With limited seats in MBA classes, organizing applications by measurable figures is logical and helpful. That’s why preparing and doing your best on the GMAT/GRE and putting your best numbers forward in your application is important. But, you are not just a simple sum of your numeric parts– You’re an individual. And your scores are just part of your story. Answering, “who are you?” is a much bigger question. 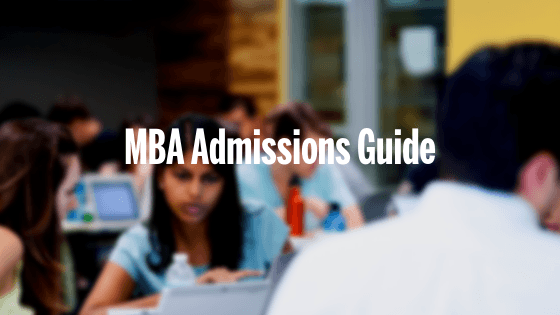 In our review of a typical MBA candidate, GMAT/GRE and GPA alone do not offer any consistent indication of success in the program. Even if you have a 780 GMAT score, this does not automatically indicate to us that you will make high grades, find an internship, thrive in your study groups, stay positively active and engaged, or find a good job after graduation. 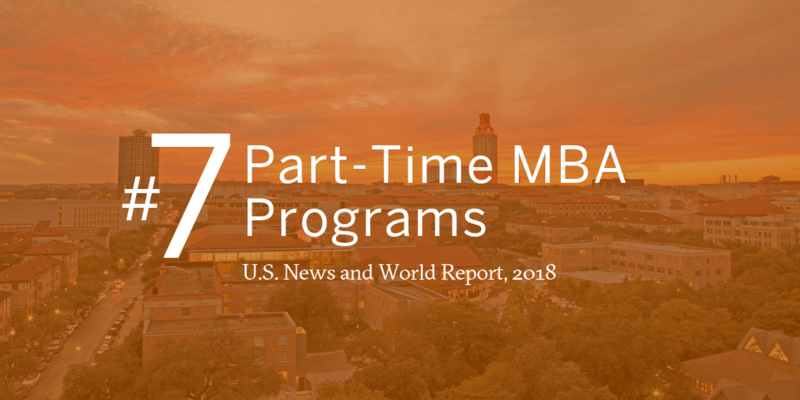 It is the combination of strong numbers, your unique story, a commitment to Texas McCombs, and many other factors that indicate how well you’ll do in our MBA program. Because MBA programs are limited & competitive— many candidates are enthusiastic and have strong professional backgrounds and scores— we have adopted a holistic approach to evaluating your application. So what are the intangible qualities we look for? And what will make you stand out so that you secure a spot in the class over another applicant with similar scores and background? This information comes from our Working Professional and Executive MBA Admissions team. 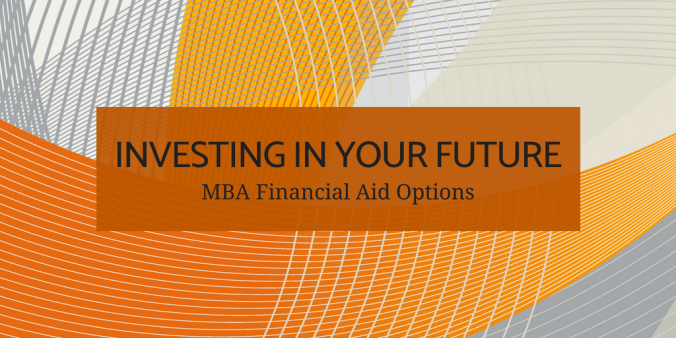 At Texas McCombs, we recognize that pursuing an MBA is a big investment in your future. We are proud to have been ranked among the top 10 part-time MBA programs in the U.S. for the past five years. 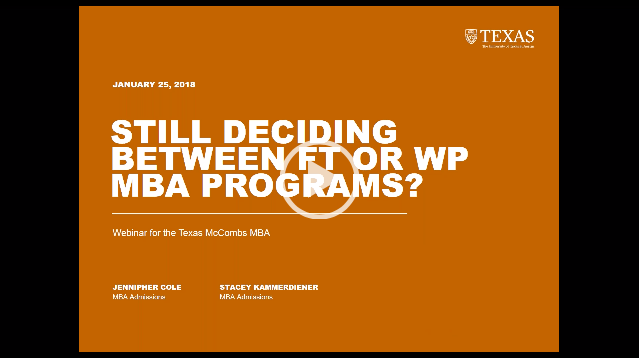 To make your MBA future attainable as a Working Professional (WP), Texas McCombs awards financial assistance to many students to help cover the cost of education for our Evening, Executive, Dallas/Fort Worth, and Houston programs. In most cases, that aid comes in the form of student loans but there other options that may help fund your MBA. We invite you to review some of these below to help you better navigate this step in your MBA journey.